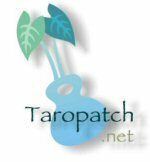 HREF="http://www.taropatch.net/forum_learn_videos_gk.htm">link you to the file. It might be a little premature to post this since I'm still waiting on information regarding the "official" release date… but here it is. I'll add a review shortly, but feel free to add your own comments if you've already seen this. The slack key DVD's are available now... that is Patrick Landeza, George Kahumoku and Keoki Kahumoku's DVD's. They haven't made it to the website yet but we will be adding them as soon as Bruce is back on his feet. In the meantime, anyone who is interested can email us at homefix @ hometvnet.com requesting any of the titles or they can fax us an order with their credit card number to (858) 273-8410. We will ship via priority mail or UPS, their choice, and will charge only actual shipping cost. This video is now available at http://www.thegtw.com. I've seen some other people comment on this DVD while talking about Keoki's DVD, but since I haven't seen that one (yet) I'll just give my thoughts on George's. I've accumulated a fair amount of slack key instructional material over the past few years, and recently got George's D Wahine DVD for my birthday. I was a bit concerned that there was no accompanying TAB since I have very little experience playing in D wahine, but the DVD is great and D wahine is a really sweet tuning. After going through the DVD a couple times, it gets easier to figure out the chord positions, the trick is mimicking George's style! There's a section on bar chord positions on the DVD, but he also goes over some of the open positions before one of the pieces, I think it's Keiki Mahine. I also have Leonard Kwan's book which has one song, Opae Tumatuma, in D wahine with some of the positions laid out at the beginning of the piece. That was a big help. I just checked out Bruce's website and it looks like George Kahumoku just put out a taro patch DVD! On a different note, I'm looking for TAB for Maori Brown Eyes. Does anyone know where I can get that?